You are here: HomenextBrowse ArticlesnextBenfleet Mysteries!nextCan anyone say when this photograph was taken? 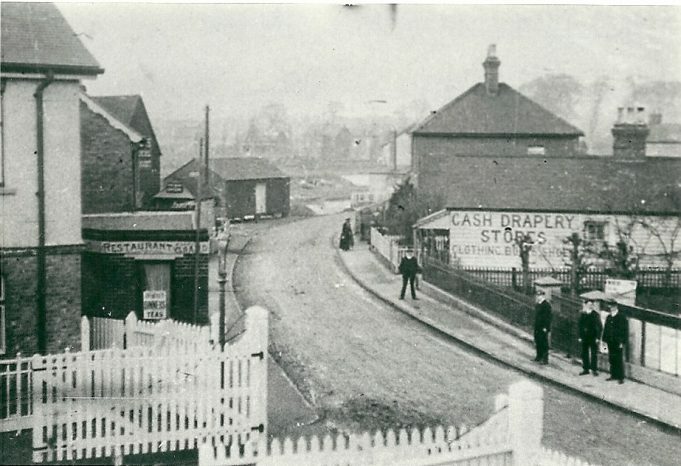 The old railway crossing gates are in the foreground, this picture was taken from the footbridge, but can anyone date the picture? Looks pre-WW1 to me: the ‘long’ exposure required for the photo, (in daylight), style of dress; the iron fencing not yet taken up for war materials. My guess is between 1900-1914/15. We think this my be closer to 1920. After the new station was built whenever that was. I have the same picture but it is printed on the front ’Benfleet from the new station’.